Make your home look as good on the outside as it is on the inside without spending a fortune to do it. At Katy Overhead Doors, we give your home an affordable makeover by providing comprehensive garage door installation in Katy, TX. We are a full-service garage door company that provides everything from door installation and replacement to garage door repair and electronic door opener setup. Do you want a wood, steel, or roll-up garage door? Whatever you choose; we can provide and install it. Having served the greater Katy area for many years, our team is able to address all of your garage door needs. Whether you require door replacement or repair, you can trust us to ensure your door is functional and appealing for many years. When your old door creating a bad impression on your lovely home; don't let a worn-out door drag down the appearance of your property. 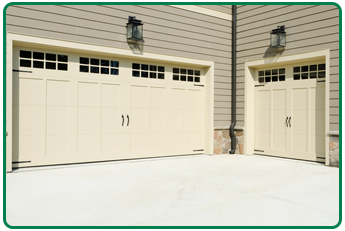 Give your home more curb appeal and added value by relying on us for garage door replacement. Having installed hundreds of doors, we know how to make sure your new overhead door looks good and operates perfectly. Regardless of your needs or budget, we have the right garage door to fit any style and price range. Whether your door is damaged, out-of-date, or simply unappealing, you can count on us to install a new one that adds value without going over budget. At the same time, we excel at performing every job accurately and efficiently. When you like your garage door, you can keep it, but let us upgrade your panels for you. By providing garage panel replacement, we give your old door a facelift. Our company helps you save money by replacing damaged panels. We do not need to install a completely new door unless you want us too. Let us update the look of your garage doors and add curb appeal to your property. Whether you have a broken panel or you want to change the appearance of your door, consider door panel replacement. We are able to fix minor damage, repair small sections, or replace all of the panels if you'd like. For an estimate and on-site inspection, schedule an appointment with us today. Contact us for prompt and affordable garage door installation services. We proudly serve residential and commercial customers in Katy, The Woodlands, Sugar Land, and Columbus, Texas, as well as in and around the surrounding areas.